Pipes have been a part of smoking forever. 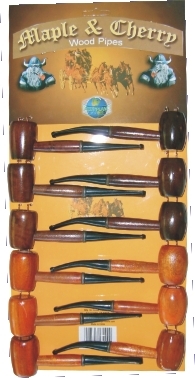 This straight wooden pipe features a classic design and traditional look. A sturdy wood smoke path connects the wooden bowl to the straight plastic mouthpiece.